NEW YORK, NY, USA, November 13, 2018 /EINPresswire.com/ -- Leading intellectual property owners, creators, educators organizations and managers will consider the best ways to improve literacy about the role and impact of IP rights at the second annual IP Awareness Summit in New York on November 29. IPAS will examine how increases in information access and speed have affected how patents, copyrights, trademarks, and trade secrets are seen and why they often fail to be accepted as “legitimate” property. The Summit also will address improving IP literacy through education and the media. Registration is open to the public. Featured speakers include United Stated Under Secretary of Commerce for Intellectual Property and Director of the U.S. Patent and Trademark Office (USPTO), Director Andrei Iancu, leading inventors, educators and the media. Others who will address be addressing IP literacy issues at IPAS 2018 include Manny Schecter, Chief Patent Counsel at IBM and President of the Intellectual Property Owners Education Foundation, and Jay walker, entrepreneur, Priceline.com founder, TEDMED curator and one of the most prolific U.S. inventors. There will be panels, other speakers and breakouts with audience participation. Among those already registered for IPAS 2018 are IP owners, executives, educators, creators, service providers, investors, lawyers, IP organizations and the media. The remaining tickets will go fast. To see all of the presenters and the program, go here1. To register, use this link2. The Center for Intellectual Property Understanding is an independent, non-profit organization dedicated to increasing awareness of IP rights and their impact on people’s lives. 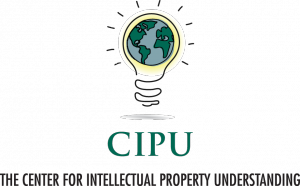 CIPU provides information, conducts research and facilitates activities that seek to make IP more intelligible, enhance value and deter theft. The Center also tracks attitudes toward IP rights, including patents, copyrights, and trademarks, and through outreach, provides an education framework for understanding how IP promotes competition and creates jobs. To learn more, please visit www.understandingip.org3.